Featuring new music from Disclosure, WSTRN, Fetty Wap and Chris Brown. October is here and with it comes plenty of new music to fall in love with. Stand out songs include UK trio WSTRN's new track 'In2' as well as just about every song on Disclosure's new 'Caracal' album, although if you only listen to one, make sure it's The Weeknd collaboration 'Nocturnal'. Chris Brown is back and has some choice words for his exes on 'Zero,' whilst Janet Jackson, Tinashe and Fetty Wap also provide big new songs. Hit play on all the new music you should know about from October below. West London trio WSTRN are making big waves with their infectious new r&b track 'In2.' This is a must-have on your new playlist. The end of September saw Disclosure's 'Settle' follow-up album 'Caracal' finally drop. While the entire album is certainly worth a listen, 'Jaded' and 'Hourglass' are just two stand out tracks we've picked our for your listening pleasure. 'Party Favours', the first single from Tinashe's upcoming album 'Joyride', gives us high hopes for what's to come. Last month saw Naughty Boy, completely out of the blue, drop a brand new song with none other than Beyoncé contributing vocals! Perfect for a chilled out afternoon. You'll no doubt no Fetty Wap for hit hit summer song 'Trap Queen,' but the New Jersey rapper has so much more to offer. Above, stream his self-titled debut album. Sam Smith's brand new James Bond theme song 'Writing's On The Wall' is going to be all anyone's talking about for a while. Avicii's sophomore album 'Stories' drops on 2nd October, but if you can't decide whether or not it's for you, hit play his 16 minute megamix of all the tracks on the album above. You might recognise this beat, which has been doing the rounds in the clubs for a while now, but with added vocals from two of the UK's finest Tinie Tempah and Katy B, it's good to go. What a time to be alive is right. 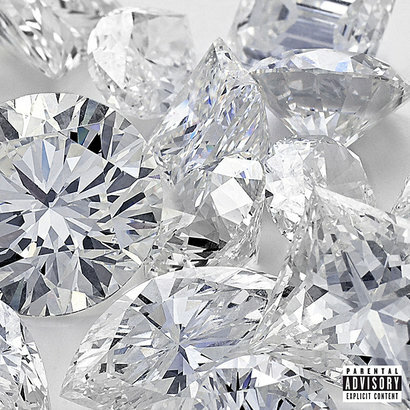 Drizzy and Future's new mixtape is a must-listen. The 'Bloodstream' collaborators are back and they're sounding so sweet. Two of the industry's hottest females have hooked up for this mega jam. Drizzy teams up with Majid Jordan for this smokey track, out now. Can't decide whether to hit play on Disclosure or The Weeknd's new album? Hit play on their brand new collaboration and solve all your problems. The only problem with Philip George's new song/video is that it's going to make you wish it was summer again. Released on 2nd October.